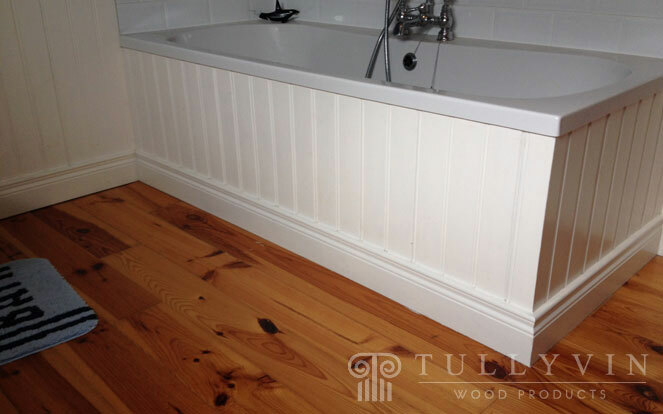 Beadboard Panelling or Beadboard Wainscoting is made from moisture resistant MDF and so is suitable to use in bathrooms. 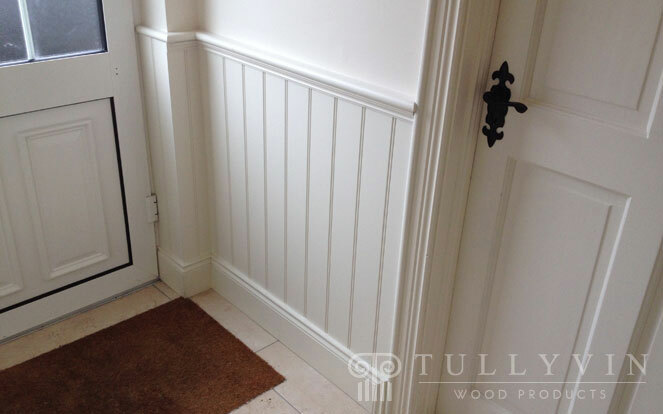 It's is a 9mm thick sheet that is machined to give a tongued and grooved or beaded effect (beads are 130mm centre to centre), this is a superior product for painting when compared to T & G individual boards as it is stable when painted. 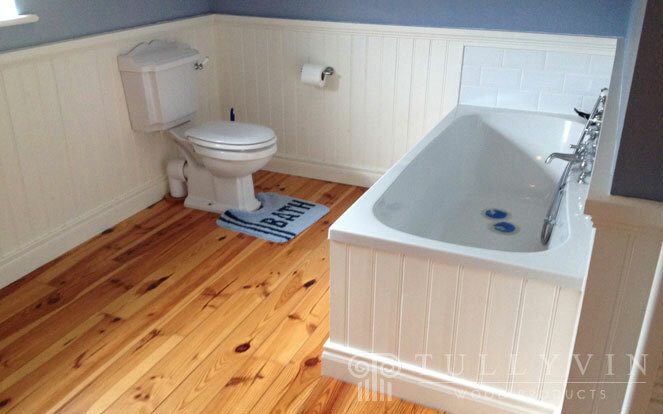 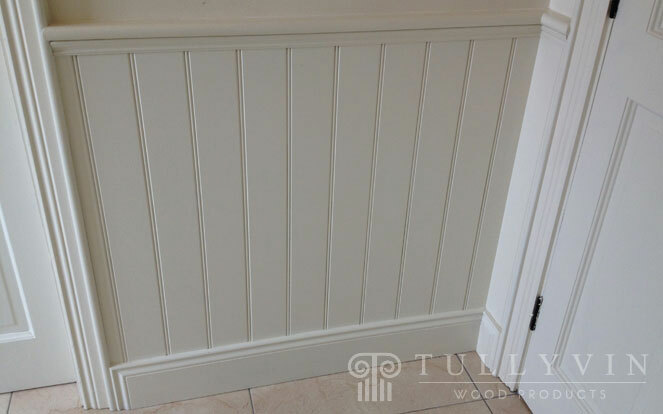 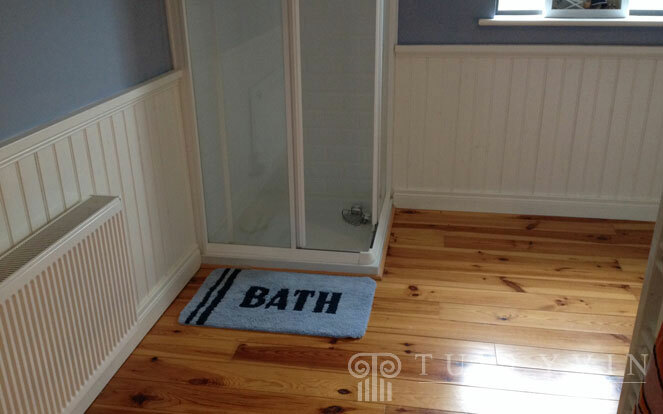 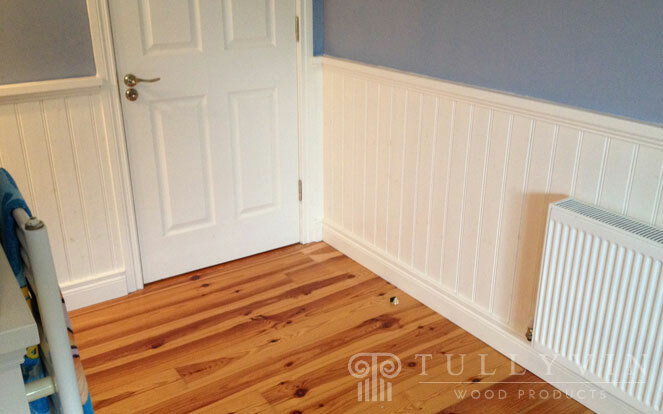 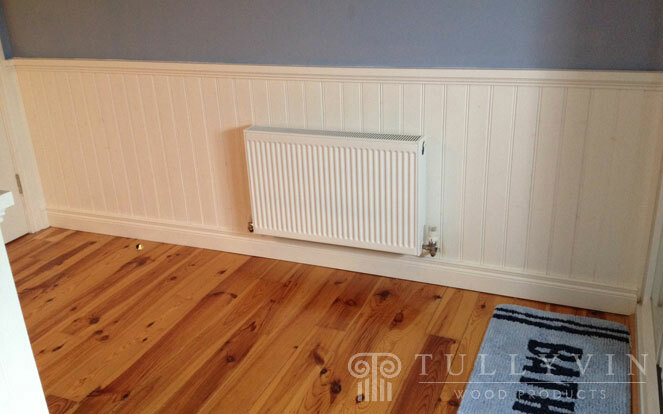 When individual T & G boards are painted they expand and contract causing the paint to crack on the joints after time, with beadboard this does not happen and it maintains its unblemished finish. 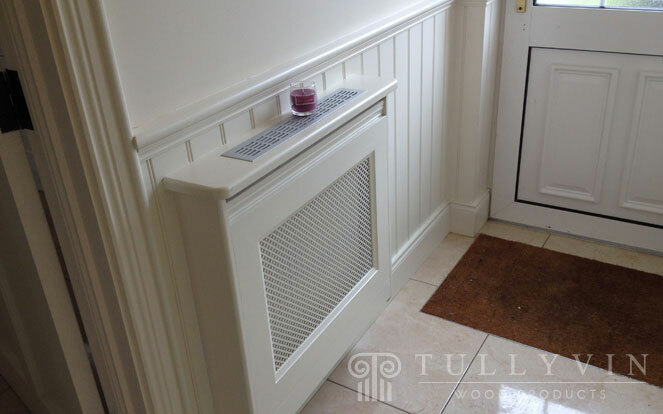 This product includes two top trims and can be supplied and fitted or supplied only. 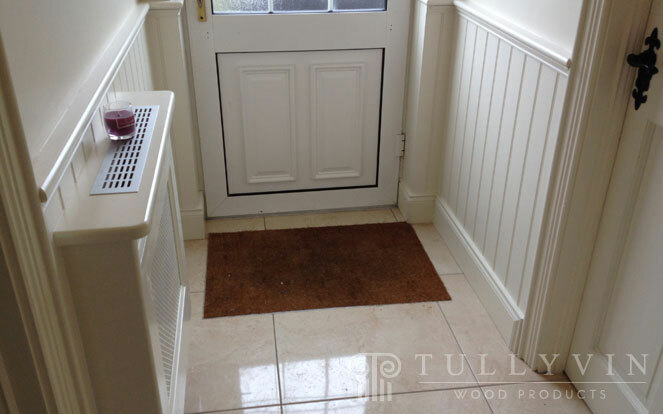 Contact us with an overall measurement i.e 15 metres or 20 feet for example, to get a quote.